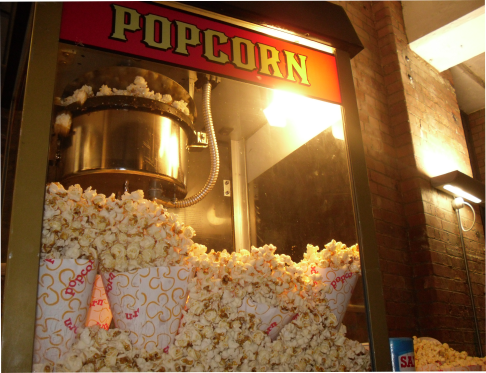 POPCORN - This machine will help attract potential customers to your exhibition trade stand with it’s magical popping sound and visual effect of the corn popping! (The lifting of the lid and pouring out over the side of the kettle). The corn stacks up inside the cabinet and it is kept warm by the heater element underneath the bottom of the base plate, the unmistakable aroma of fresh popped corn is continually given off and flows throughout the whole of the trade show exhibition, “They will find you sooner of later!” Popular, easy to use and a great attraction. Visual attraction of popping and unmistakable aroma! Promotional staff available, all consumables supplied. 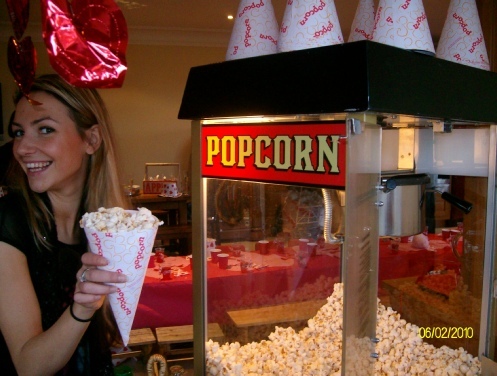 POPCORN MACHINES - ‘Hire corn popping machines’. 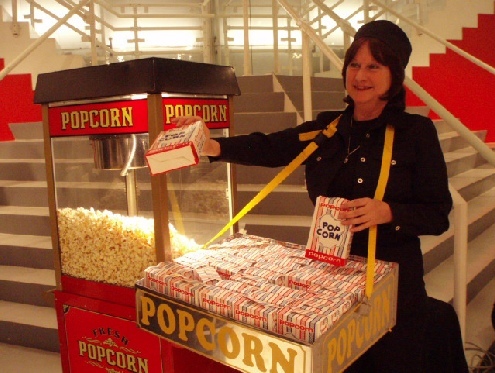 You will have great fun making this product from the raw material (maize kernels) to the finish product (Popped corn). As the kettle in the machine warms up, The aroma begins. Followed by the sound of the maize exploding (popping) The maize expanding 10 times in size, it fills the kettle in no time and it has to escape! The expansion opens the lid , just enough to pop out, flowing over the top, filling the cabinet with freshly popped corn, It’s truly amazing to see this bit of Magic, you will be pleased with the whole process, how easy it is and of course the outcome. 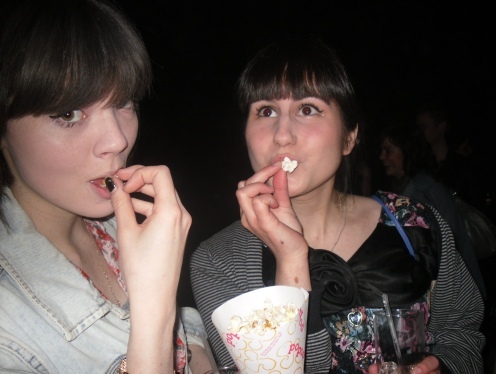 Popcorn Machine Hire. Alexandra Palace, Business Design Centre, Oakley Court Hotel, Bournemouth International Centre, Donington Exhibition Centre, Donington Park, Royal Windsor Racecourse, Earls Court, Epsom Downs Racecourse, ExCeL, G-Mex Centre, Hilton Brighton Metropole Hotel, Manchester Central Convention Complex, Novotel London West, UK. National Exhibition Centre, The ICA, Old Billingsgate, Olympia, Queen Elizabeth II Conference Centre, Ricoh Arena, Curzon mayfair Cinema, Sandown Park Exhibition and Conference Centre, Stoneleigh Park, Telford International Centre, The O2 Arena, The Brighton Centre, The Toy Room, Cardiff International Arena, Green Park Conference Centre.